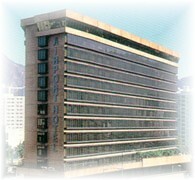 The Regal Kaitak Hotel is located in the heart of downtown East Kowloon, in Kowloon City. The Hotel provides a regular shuttle bus for guests to Nathan Road or Tsimshatsui East business and shopping areas. The hotel is designed for business travellers combining efficiency and convenience.